The following piece by Mindy Moretti appeared in the February 14, 2013 electionlineWeekly. To quote the great American orator Yogi Berra, it’s like déjà vu all over again. Just about this time almost every year in recent memory, electionlineWeekly writes a story about cuts proposed by the U.S. Postal Service (USPS) and the possible impacts those cuts could have on the administration of elections. This year is no different after late last week USPS announced it will eliminate Saturday delivery except for packages. And elections officials aren’t thrilled, but they aren’t exactly surprised either. While only Oregon and Washington offer exclusive vote-by-mail system, about 20 percent of all voters in the United States cast their ballot through some form of vote-by-mail. This figure has more than tripled since 1980. This is especially true in Western states like Arizona, California, Colorado and Montana where local elections officials are working with legislatures and state election officials to make voting by mail as easy as possible. The plan, which takes effect the week of August 5, is expected to save the USPS $2 billion per year once it is fully implemented. Although disappointed, most elections officials see this as a necessary adjustment in order to keep the cash-strapped agency afloat. In a statement, Wyman said that the state would work to expand the drop-box system, which is becoming increasingly popular and would embark on a voter education campaign to remind their voters to put those ballots in the mail by Friday. In Oregon, the first state to go all vote-by-mail in the country, Secretary of State Kate Brown is concerned about the impacts the changes will have on voters and elections officials. “Although USPS never discussed this with us, or gave us any advance notice that they would implement this, we were not surprised. This has been talked about for years. It was and remains a short-sighted idea,” Brown said. Brown noted that the elimination of Saturday delivery will shorten the two-and-half weeks Oregon voters have to return their ballots by two days. Could Congress step in and prevent the ending of Saturday delivery? 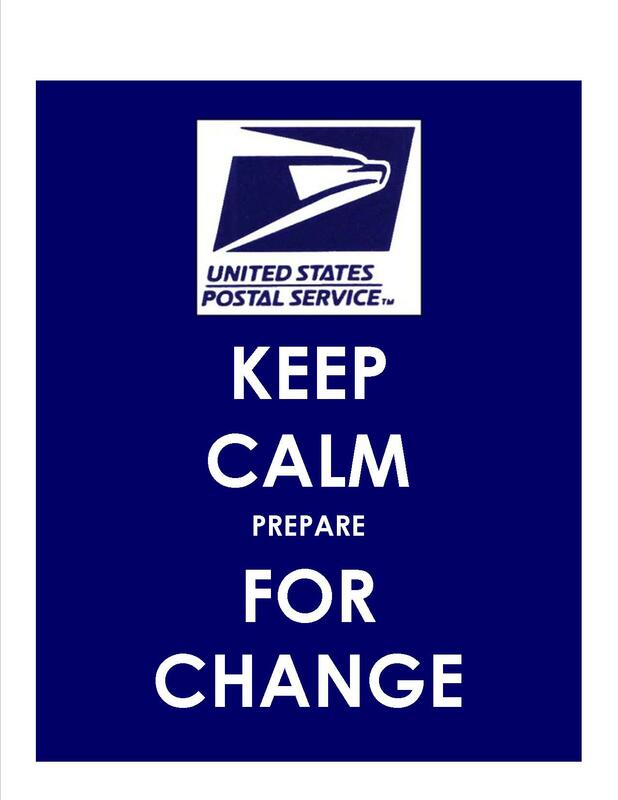 A spokesperson for USPS said the Postal Service believes it has the authority under current law to make the change and that public support for the change is at an all-time high. “We developed this approach by working with our customers to understand their delivery needs and by identifying creative ways to generate significant cost savings,” explained Toni DeLancey, Ph.D. Senior Manager, Public Relations for the Postal Service. DeLancey said that in market research conducted by the Postal Service and independent research by major news outlets, nearly seven out of 10 Americans supported the Postal Service switching to a five-day mail delivery schedule as a way to reduce costs. While the elimination of Saturday mail seems popular with Americans, the popularity of vote-by-mail is also growing. In Maricopa County, 65 percent of all registered voters are on the Permanent Early Voting List (PEVL), and Patrick noted that in the 2012 general election nearly 69 percent of the votes were cast by mail. Another spokesperson for the Postal Service said that USPS is still working on the operational plan, but expect to have more details by March. Back in Oregon, Brown noted that voters want an elections system designed for them and that vote by mail is a proven solution that can fix many of the current problems in election administration. “All of the proposals being discussed at the national level operate under the assumption that voters need to get to the ballot box rather than the ballot box coming to them,” Brown said. “Each of the proposed solutions to long lines and disenfranchised voters can be remedied most effectively by fully implementing a vote-by-mail system. Be the first to comment on "electionlineWeekly on USPS, Saturday Delivery and Elections"